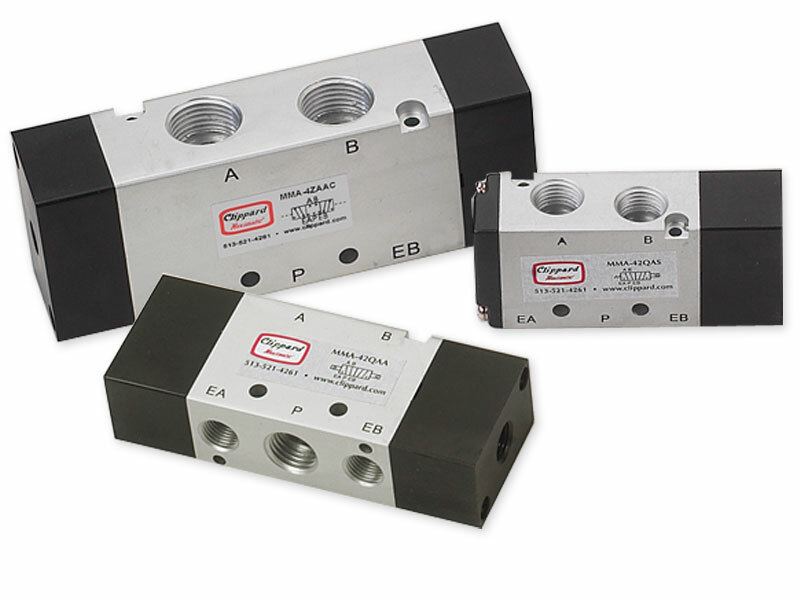 Clippard Maximatic® Air Pilot Valves are spool type valves with single or double air pilots. They have a 1/8" NPT external pilot port and feature pressure ranges from 0 to 124 psig. Maximatic® Air Pilot Valves are available in 3-way or 4-way configurations, in port sizes from #10-32 thread to 1/2" NPT.